The Physically Challenged Bowhunters of America Inc. 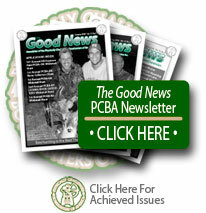 The PCBA is a non-profit organization founded in 1993 to assist physically disabled persons with actively participating in bowhunting and archery sports. A major emphasis is placed on reaching people with disabilities who have never been exposed to the greatest recreational therapy in the world – bowhunting and archery. Our organization works closely with hospitals, rehabilitation facilities and disabled individuals. A large percentage of people who work within these institutions are non-hunters. Through matched involvement with PCBA and the patients of the facilities, nurses, doctors, therapists and administrative personnel these individuals are introduced to archery and bowhunting in a very positive manner. This is one of the many ways PCBA does its part in promoting a positive public image of our sport. Our programs are made possible by contributions from companies, organizations and individuals who generously support us. As support builds, we will continually extend our efforts and services offered to improve the quality of life for all physically challenged individuals. PLEASE HELP US TO CONTINUE TO HELP OTHERS INTERESTED IN ARCHERY & BOWHUNTING. BOWHUNTING IS THE BEST THERAPY IN THE WORLD!